Just tried a baked cauliflower recipe this morning. I came across this Roasted Cauliflower Bites from one of my Facebook friends who is forever sharing yummy-looking desserts. Thanks Glenn! 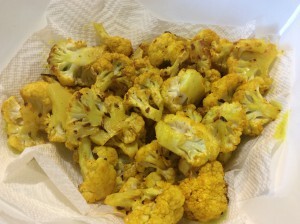 Very low in calories and salt, no carbs, but high in fiber and nutrients from the cauliflower – these Roasted Cauliflower Bites are easy and quick to make. Fresh from the oven, coated in a tangy glaze of butter, turmeric, garlic and red pepper flakes, even your finicky fans will like them. It also comes with a Greek yogurt dipping sauce that goes well with the tangy cauliflower, and couldn’t be simpler to make. 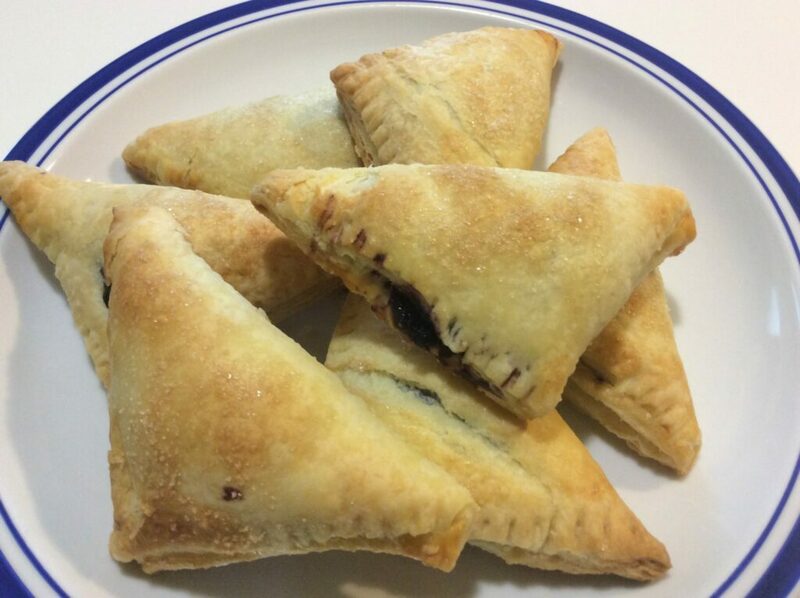 I pulled these out of the oven and served them to Dwaine, who thought they were GREAT! The cauliflower took on a golden-yellow color from the browning and turmeric. With a little more salt, these could be eaten alone, but with the yogurt dip they were delicious! The dip could skip the cilantro if you’re averse to that, and it would simply provide a smooth creamy note to the smoky taste of the roasted cauliflower and turmeric. Highly recommended for your next party! Low-calorie, no carbs, very little salt but very tasty. Low in calories and salt, but high in fiber and nutrients, you can snack away with these tasty, toasty cauliflower bites. Preheat oven to 425F and lightly oil a rimmed baking pan. In a large bowl, combine the oil, butter, ginger, turmeric, red pepper flakes, black pepper, salt and the lemon juice. Whisk to combine. 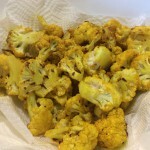 Cut the cauliflower into bite-size pieces (not too small) and toss in the spicy ginger-turmeric dressing until evenly coated. Scatter the cauliflower on the lightly oiled baking sheet and slide into your pre-heated oven. Roast for 20 to 25 minutes until golden, rotating the pan halfway through. Do not toss or flip the cauliflower or you will not achieve a good carmelization. Once the cauliflower has finished roasting, let it cool for five minutes before serving. Comments or Questions? Have a recipe for me to test? Please share it in the comments below. I’d love to hear from you! Lots of health benefits in turmeric! And for those stuck behind a computer all day, it’s a good thing to watch the carbs – at least, it is for me!